“There’s no ‘slow’ button on Maya Shea Penn.” are the words Sheila M, Poole used in describing Maya Penn. Maya Penn started her first company when she was 8 years old, and thinks deeply about how to be responsible both to her customers and to the planet. She makes eco-friendly clothes and accessories, which she sells on her own retail website — and gives away a percentage of the profits. 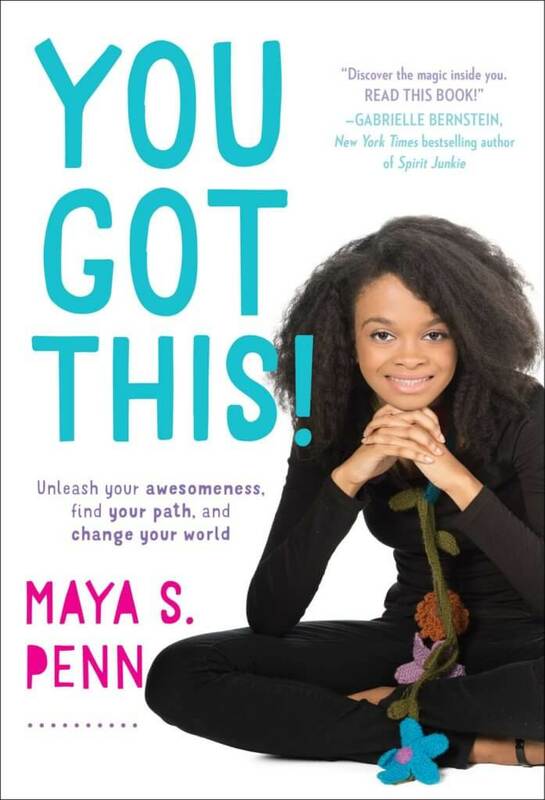 Maya is a 16-year-old award-winning eco-designer, artist, philanthropist, activist, entrepreneur, animated filmmaker, coder, illustrator, writer and author of You Got This! She has given three TEDTalks and her latest TEDWomen Talk has gone viral worldwide and with almost 2 million views and growing. She is known as the youngest female to do two back-to-back official TEDTalks. Maya has been chosen by Oprah Winfrey as one of her Supersoul 100 influencers. 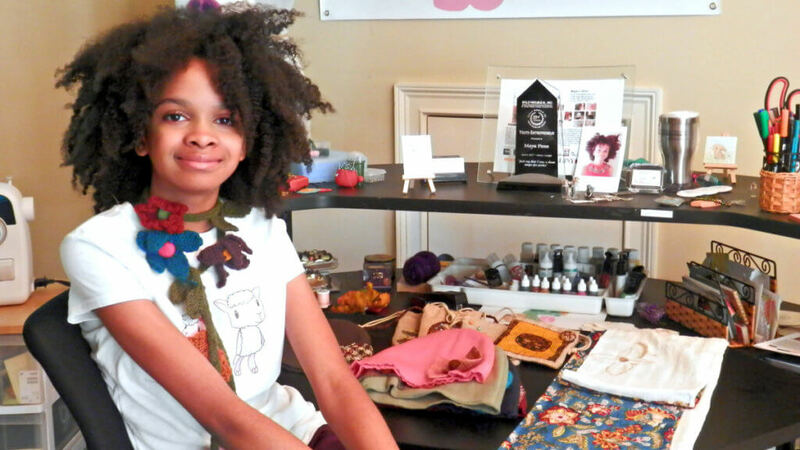 To sell her line of luscious knit scarves and eco-friendly hats, teenage entrepreneur Maya Penn built and maintains MayasIdeas.com. She’s an eager evangelist of teaching kids to be entrepreneurs at any age. Bursting with ideas, she recently started a side non-profit called Maya’s Ideas 4 The Planet. Maya’s eco-friendly clothes and accessories are sold internationally, including in Denmark, Italy and Australia. They are hand-made out of organic cotton, hemp, bamboo, and vintage silks and wools. She gives 10 to 20 percent of her proceeds to global charities including Live Thrive Atlanta and the Captain Planet Foundation. “Young entrepreneurs like myself are shown to be more open-minded, creative, and willing to take risks that will propel them forward and help their companies and startups blossom,” Maya said, in an interview with Business Insider. Images and Content Source: Maya’s Website, TED.com, Atlanta Black Star.